When our friends suggested having a picnic last weekend, my mind just can’t stop thinking of what food to contribute! I wanted to make something that can be served individually, and it should be easy to handle and eat, so the original plan was some curry puffs, but X said it is too heaty so I changed it to mini quiche! Remembering the potato-crusted quiche that Amy (from Amy’s Baking Diary) blogged about earlier, I decided to do the same – so another post for Little Thumbs Up! 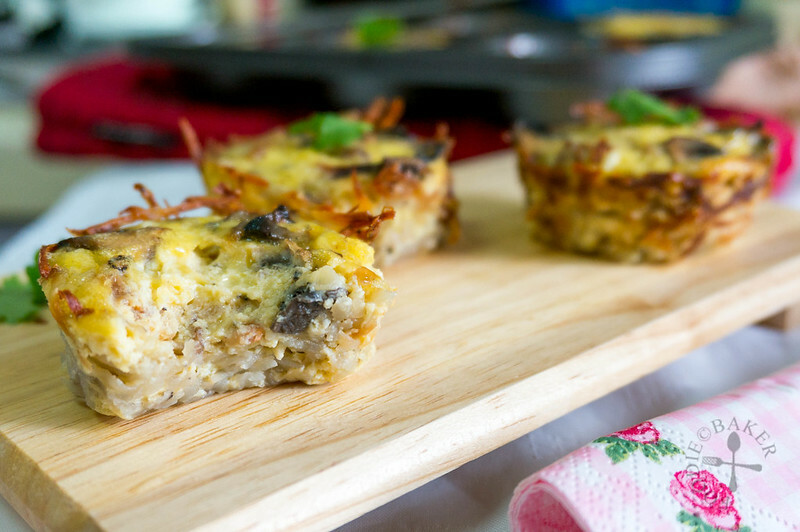 Making this quiche is fairly quick and easy – the most time-consuming part is probably squeezing the water out of the shredded potato… luckily 1 large potato is enough to make 6 mini quiche! So there’s not a lot of potato to squeeze. 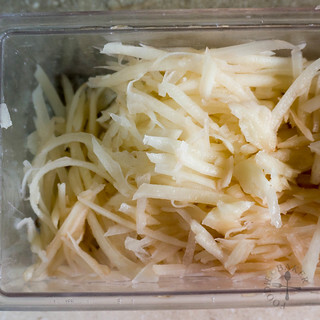 Parmesan cheese is stirred into the shredded potatoes to give it some flavour and I think it also helped to absorb some of the moisture. 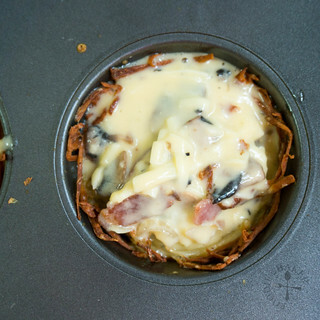 The filling is a simple sautéed bacon, onion and mushroom, mixed with eggs, cream and cheddar cheese. I know it’s boring, but this is my favourite quiche combination! Two gripes during my attempt – the first is the crust is not as golden-brown and crispy as I would have liked it. I took them out when the edges are turning golden-brown, but I think I should have baked them longer to achieve the really crispy exterior and soft interior. But overall I’m really glad the quiche is so well-received. They are no longer warm when I brought them to the picnic, but still very delicious! Will definitely be making them again for potlucks / parties! 1) Peel and shred the potatoes. 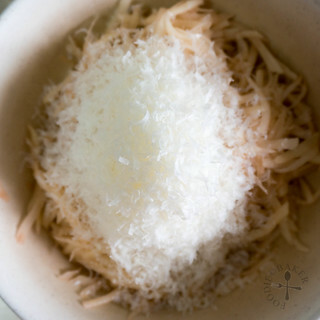 2) Drain and stir in Parmesan cheese. 3) Press into greased muffin tins. 4) Bake for 25 minutes until golden. 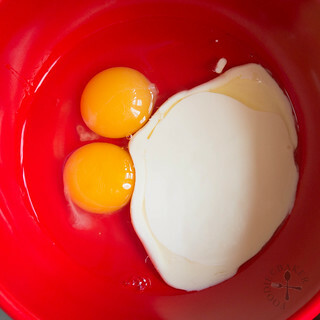 5) Crack 2 eggs and pour in cream. 6) Add in cheese, salt and black pepper. 7) Whisk together and stir in quiche fillings. 8) Divide among the potato crust and bake away! 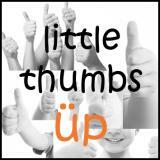 Don’t forget to join the next month’s Little Thumbs Up – hosted by Diana from Domestic Goddess Wannabe. The theme is FLOUR and it will start on 5 August 2014! Please note that only wheat flour is accepted for this event! Preheat the oven to 175 degrees Celsius. 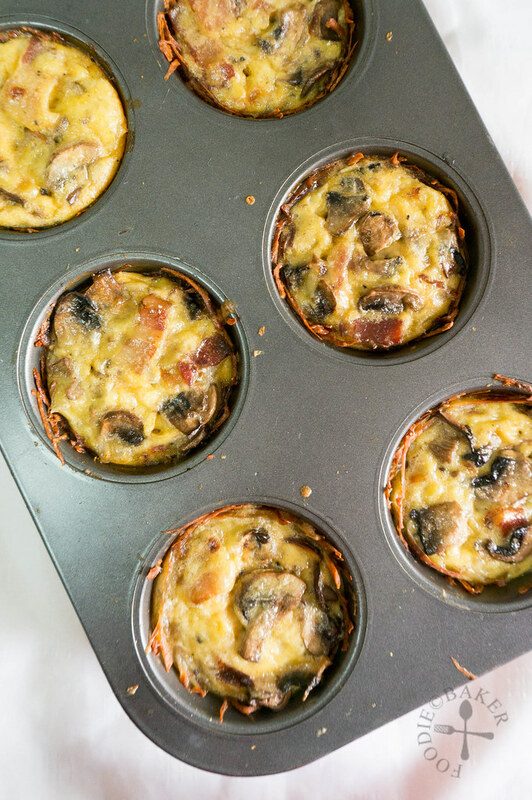 Lightly grease a muffin tin and line the bottom with parchment paper so the quiche can be removed easily. Peel and shred the potato. Squeeze out the excess water and place it into a mixing bowl. Stir in the Parmesan cheese. 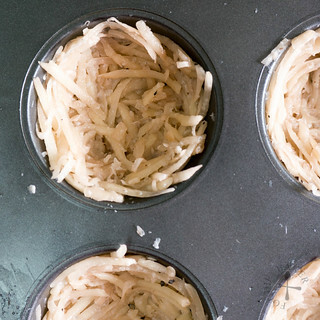 Divide the potato mixture into 6 and scoop into the muffin tins, pressing the potato mixture until the potato comes up to the side. Brush lightly with oil and bake for 20 to 25 minutes until golden. Remove from oven and set aside. Lower the oven temperature to 150 degrees Celsius. Sauté bacon in a small non-stick frying pan over medium-low heat until oil has rendered and bacon is slightly crispy. Add in the diced onion and sauté until onion has softened and is translucent. Push the bacon and onion aside and add in the mushrooms. Sauté until mushrooms have softened and shrink in size. Remove from heat and let cool for 10 minutes. 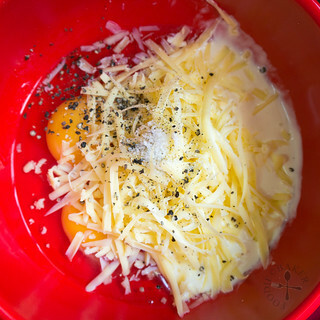 Whisk eggs, cream and cheddar cheese together. Whisk in the ¼ teaspoon salt and black pepper. 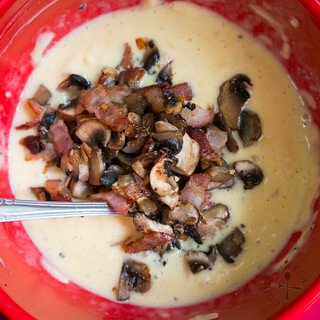 Stir in the bacon-mushroom mixture. Divide the quiche mixture among the 6 potato crusts. Bake for 20 to 25 minutes until the quiche has set and a skewer inserted into the center comes out clean. Let cool on wire rack. Run a thin knife around the quiche and lift it out. 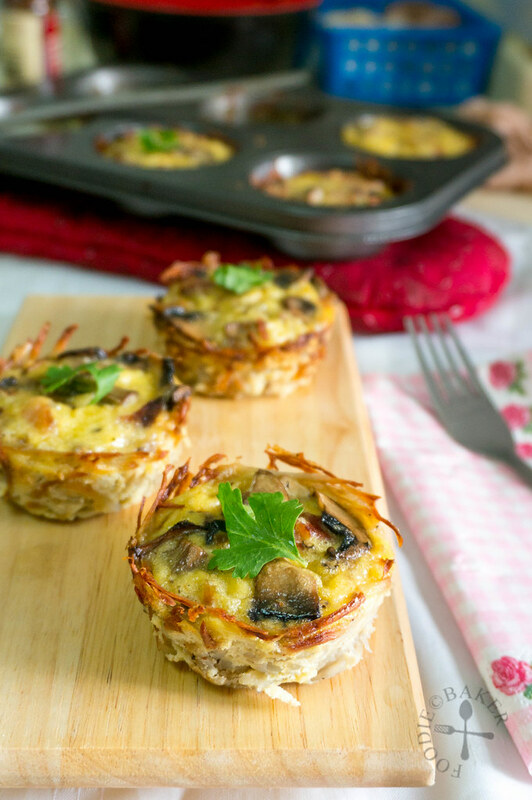 The quiche are best served warm, but still taste awesome at room temperature! Hi Jasline, I have not tried using grated potatoes as quiche crust. Looks very yummy. And thanks for hosting the July’s LTU. 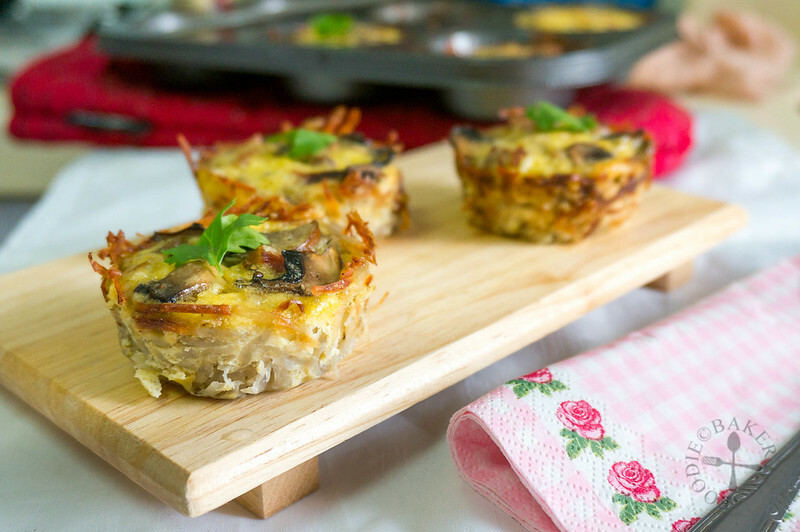 Oh what a brilliant idea of making quiche – without pastry. 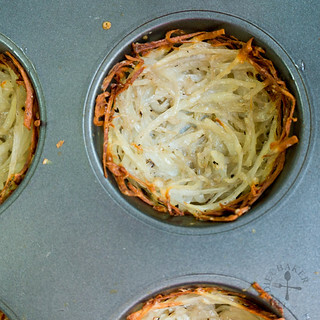 I love the idea if using grated potato. Perfect for parties or picnics. Thanks for sharing.